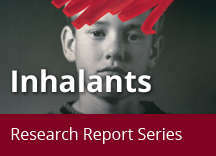 Home » Publications » Research Reports » Inhalants » What are the other medical consequences of inhalant abuse? fatal injury — from accidents, including motor vehicle fatalities, suffered while intoxicated. Based on independent studies performed over a 10-year period in three different states, the number of inhalant-related fatalities in the United States is approximately 100–200 per year. Compared with the brain of an individual with no history of inhalant abuse (A), that of a chronic toluene abuser (B) is smaller and fills less of the space inside the skull (the white outer circle in each image). Courtesy of Neil Rosenberg, M.D., NIDA Research Report (NIH 05-3818). Animal and human research shows that most inhalants are extremely toxic. Perhaps the most significant toxic effect of chronic exposure to inhalants is widespread and long-lasting damage to the brain and other parts of the nervous system. For example, chronic abuse of volatile solvents, such as toluene or naphthalene (the volatile ingredient in mothballs), damages the protective sheath around certain nerve fibers in the brain and peripheral nervous system. This extensive destruction of nerve fibers is clinically similar to that seen with neurological diseases such as multiple sclerosis. The neurotoxic effects of prolonged inhalant abuse include neurological syndromes that reflect damage to parts of the brain involved in controlling cognition, movement, vision, and hearing. Cognitive abnormalities can range from mild impairment to severe dementia. Inhalants also are highly toxic to other organs. Chronic exposure can produce significant damage to the heart, lungs, liver, and kidneys. Although some inhalant-induced damage to the nervous and other organ systems may be at least partially reversible when inhalant abuse is stopped, many syndromes caused by repeated or prolonged abuse are irreversible. Abuse of inhalants during pregnancy also may place infants and children at increased risk of developmental harm. 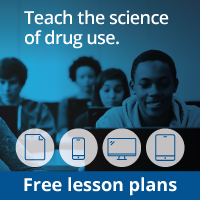 Animal studies designed to simulate human patterns of inhalant abuse suggest that prenatal exposure to toluene can result in reduced birth weights, occasional skeletal abnormalities, delayed neurobehavioral development, and altered regulation of metabolism and body composition in males, as well as food intake and weight gain in both sexes. A number of case reports note abnormalities in newborns of mothers who chronically abuse solvents, and there is evidence of subsequent developmental impairment in some of these children. However, no well-controlled prospective study of the effects of prenatal exposure to inhalants in humans has been conducted, and it is not possible to link prenatal exposure to a particular chemical to a specific birth defect or developmental problem. Finally, a 2008 survey of over 13,000 high school students has identified an association between disordered eating (defined as a positive response to one or more of three questions about engaging in inappropriate behaviors for weight control during the past 30 days) and inhalant use among both male and female students.